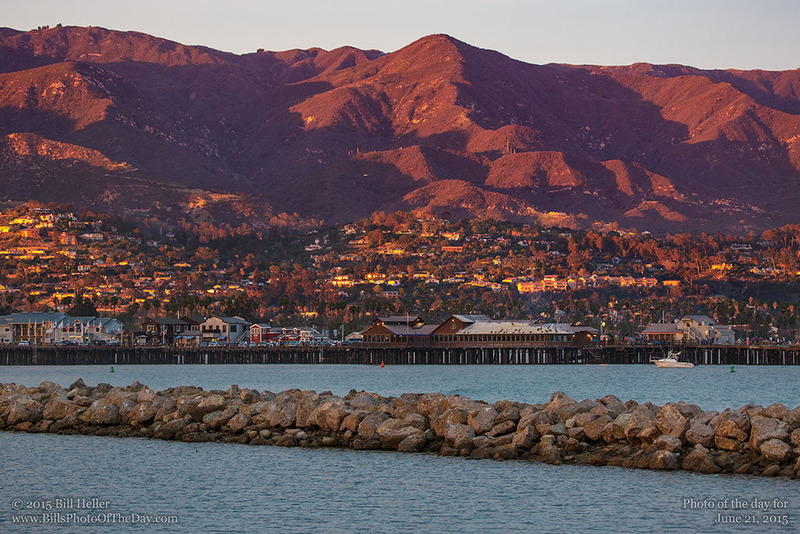 Golden hour walking on the Santa Barbara Harbor Breakwater looking toward Stearns Wharf and our beautiful mountains. I love catching the little starbursts of sunset reflected in the windows of the homes on the hill. This evening was particularly golden.